Here’s what’s happening in the world of television for Tuesday, January 22. All times are Eastern. 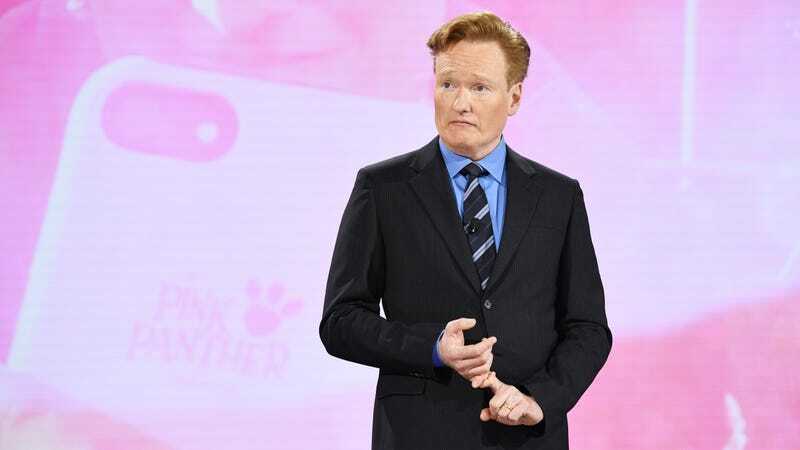 Conan (TBS, 11 p.m.): As some guy said once: The times, they are a-changing. Conan O’Brien knows this. He also knows a thing or two about mortality, futility, and the void. Also, he’s got a podcast now. And a color! We’ll miss the band, but we’re excited about Conan being Conan, and Dennis Perkins is, too. Look for his review later tonight. Don’t cut down Joshua trees, you assholes. America&apos;s funnyman Conan O&apos;Brien here to remind us that "all our graves go unattended"